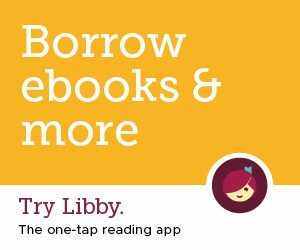 Download FREE magazines, eBooks & audio books with OverDrive! Growing up, I learned how to use the library at my school library. I was taught how to use a card catalog to locate the books I was interested in reading. To be honest, I didn’t distinguish between my school library and the library in the community. The library is important for the vitality of a neighborhood. Its presence improves a community’s residential and educational appeal. People appreciate having access to a library, whether it’s to gather books and information for themselves or to select a book to share with a grandchild. A library is a draw for every age. I think one of the most important roles a library can play today, is to teach people how to use the library. It may no longer be by scanning a Dewey Decimal System paper card catalog, but rather navigating a catalog online or loading an electronic book onto a mobile device. But once you learn what resources are available at the library, using the library will become second nature. By relocating to the Leland Center, library patronage can only grow. In addition to current users, those living close by will be able to wander in and see all that the library has to offer. And as more people learn how to use the library, the library’s collection and programs can adapt to their needs and interests.